I actually enjoyed this one very much when I read it a few years ago, but I think part of that enjoyment is built from the point you made about reading them in order and seeing his evolution. The first book, Casino Royale, is particularly good, and while I have some real problems with the racism of the second book, Live and Let Die, it actually has a carryover character and builds strongly on the first book. The two of them together give a really good foundation of just who James Bond is and reading the subsequent stories (I'm up to Goldfinger at this point) there is real enjoyment in seeing him progress. Dr. No in particular ties in with the events of From Russia With Love, my favorite Bond book thus far. It will probably be spoiled for you, but you really should go back and start with Casino Royale. Dr. No also returns Bond to the setting of the events in Live and Let Die. I didn't expect to really like the Bond books, but Daniel Craig's portrayal in Casino Royale sent me scrambling to read the novel and I've been very impressed with the series. It has some racial/gender issues common of the day, but beyond that they are rollicking good adventure/spy tales. When I was in middle school I went through the original Flemming Bond novels (and the later novels set in the 1980s by John Gardner) in rapid succession. 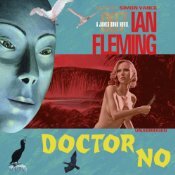 Dr. No kinda seemed underwhelming from what I remember. While I will agree with Carl V., in part, that Casino Royale was a much better novel, I never felt like the Bond novels needed to be read in any order. There are references to other novels (like when Bond was getting chewed out by M in Dr. No, which refers back to the previous novel, the books are mostly stand alones as long as you know the basic characters (Bond, M., maybe Felix). Some are much better than others. Oh, and as for the gadgets or Rodger Moore's sense of humor, it usually is lacking in the books. That was mostly for the films. If you wanted any recommendations or anything, let me know. 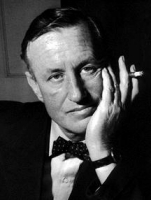 I am so embarrassed to say that I have never read any of the Bond novels -- I've just seen the movies. I always loved Roger Moore's comic take on Bond! Your review sort of confirms what I've heard from others, that the movies stand on their own. But they might be interesting to understand the inspiration for the movies. Thanks for your review! I love watching James Bond movies! Such fun if I do say so myself :) I'm not sure that I realized that the movies were based off of books...I'm definitely interested in giving one of the books a try! I've never read any of the Bond series but can imagine that starting from the beginning might help.